I love reading! Whether it is online articles, blogs, books - anything I can get my hands on. I have come to realize lately that I really enjoy reading fantasy books. The crazier it gets the better the book. Most fantasy book are all part of a series. Now let's get back to this book. I would say this is more of a Science fiction book. And normally I would say "No Thank you, I do no like reading that" (I do not like aliens and monsters etc) but this was really enjoyable and easy to read. I saw this book on Instagram, posted by a lady who I follow. She was actually reading the third book in the series and it looked interesting. So I googled it and just had to get the series. It is a spin-off from the fairy-tale Cinderella. Now this is not your typical Cinderella story but the trend is most certainly the same. I flew through this book and really found it relaxing and easy to read. The story made me feel engaged, and what I find amazing, is the way the author can make you feel the same emotions as the character. 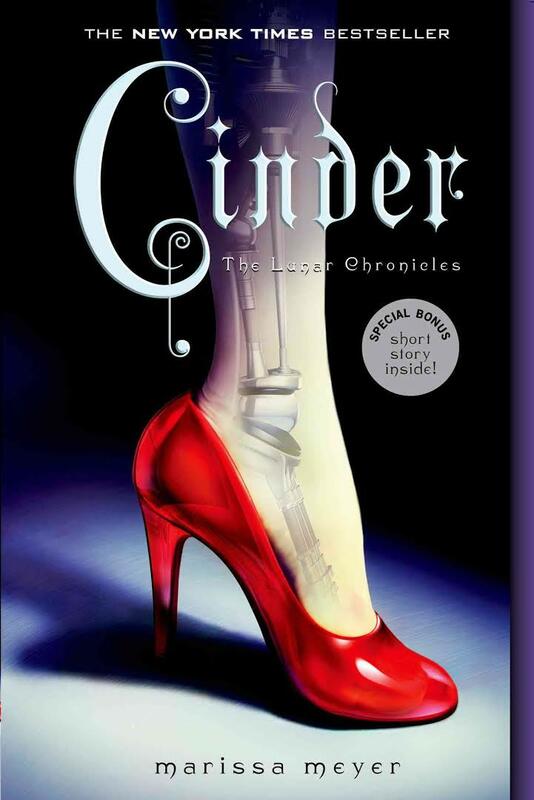 Cinder is a cyborg, working as mechanic to earn enough money to support her stepmother and sisters. Although she is very close to one of her sisters, Peonie is taken by the plaque. Cinder's stepmother blames her for this tragedy and cast her out. Prince Kaito takes an interest to Cinder and find his new position full of obstacles. One of them is the increase of victims taken by the plaque. The Lunar people is anither big headache and he struggles to find the midground with the Lunar people. Cinder's past will have a significant impact on her future and she is helped by Dr Erland to explore and to understand. This story makes you feel so many emotions and the flow of the story is effortless. I feel that the build of the story is just enough before the climax and then the author takes her time to end the story off properly. I feel that it was a good place to say "the end" and leave you to your own imagination. If you have read this book leave your thoughts in the comments below and if you have a good recommendation for my next "good book fix" please leave a comment blow as well.